Inflammation is a buzzword in the health and wellness world and anti-inflammatory diets are all the rage. You might be wondering what it means to have inflammation, how it affects you and why it’s so bad. I’m going to try to clear some things up for you in today’s post! Inflammation is not inherently bad. In fact, we actually need it! Acute inflammation is the body’s natural response to protect itself from infection and heal. When the body’s inflammatory response is prolonged, it can lead to chronic inflammation, which is a sign that the immune system is stuck in overdrive. Ultimately, chronic inflammation wears down the immune system which is why it is often found to be at the root of many health issues and modern diseases we face as a culture today (i.e. accelerated aging, autoimmunity, IBS, arthritis, heart disease, obesity, diabetes, dementia and cancer). Chronic inflammation can show up in a variety of ways including, but not limited to, acne, allergies, weight gain, digestive issues, joint pain, fatigue and depression. However for some people, chronic inflammation can be festering beneath the surface without manifesting observable symptoms and they may not know it’s there! So, I suggest, at your annual physical, you ask your doctor to include C-reactive protein (CRP), a pro-inflammatory marker released by the liver, as part of your routine lab work. 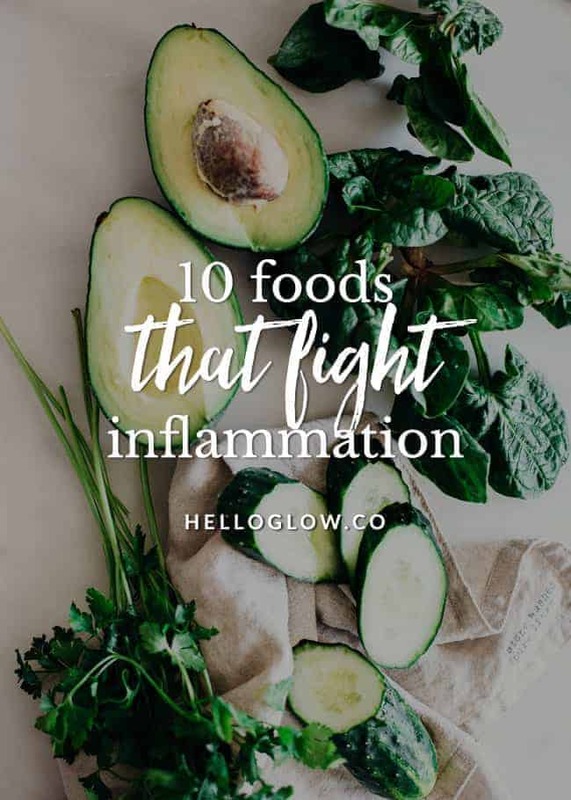 If you experience any of the above warning signs or your CRP levels are higher than 1 mg/L, don’t worry just yet–food is one of your most powerful inflammation fighters. What you put at the end of your fork everyday will either feed the fire of inflammation or help to extinguish it. The best way to offset the damage and cool inflammation on a cellular level is to eat a diet full of anti-inflammatory foods. An anti-inflammatory diet is comprised of foods that are widely regarded as healthy for you, including those high in fiber, omega-3 fatty acids, vitamins, minerals, antioxidants and phytonutrients. Here is a list of my favorite foods for keeping chronic inflammation in check. 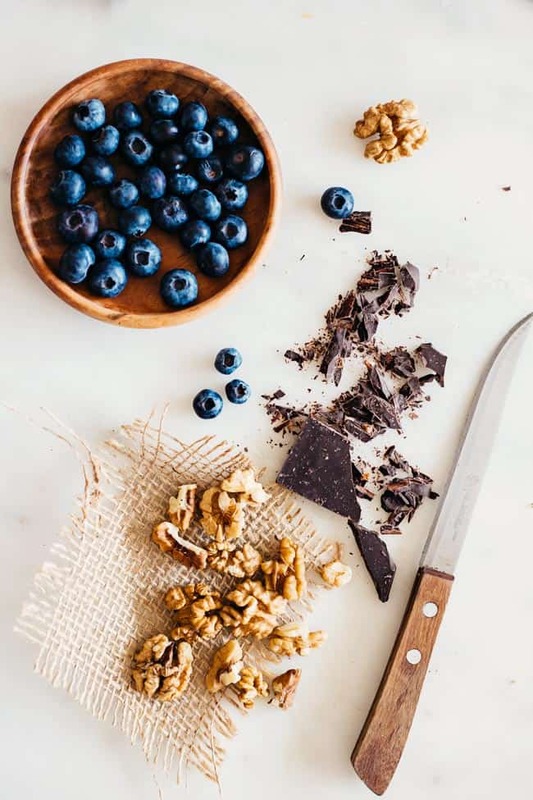 Blueberries, and other dark-colored berries, contain a broad range of antioxidants, specifically resveratrol, gallic acid and proanthocyanidins, which protect you from oxidative stress and have been shown to reduce markers of inflammation. Anti-inflammatory prescription: Include half a cup of blueberries in your diet several times a week, like in this Blueberry Kale Smoothie. Ginger has been a prized food in Ayurvedic medicine for thousands of years owing to its powerful immune-boosting and cleansing properties. It is rich in inflammation-fighting compounds that have been shown to help with pain relief. Anti-inflammatory prescription: Add one teaspoon of dried ginger powder or one tablespoon of fresh ginger root to your meals a few times a week. My favorite way to use fresh ginger root is grated and added to sauces and salad dressings; it’s also great in drinks, like our Ginger Lemonade. Cacao is unroasted so it contains up to twice the antioxidants of traditional cocoa which is made from roasted beans. Cacao is a rich dietary source of the mineral magnesium and magnesium deficiency is strongly linked with inflammatory conditions. Anti-inflammatory prescription: Eat a square of 85% dark chocolate a day (that’s right!) or, better yet, use raw cacao powder and cacao nibs for the antioxidant benefits without the sugar, like in this Hormone-Balancing Hot Chocolate. Curcumin, the active compound in turmeric, has potent antioxidant and anti-inflammatory properties which help with everything from pain relief to managing chronic disease. Studies have shown curcumin to be more effective in reducing inflammation and pain than aspirin and ibuprofen (Advil/Motrin)! Anti-inflammatory prescription: Add ½ teaspoon of dried turmeric powder or ½ inch of the fresh root to your diet a few times a week. Combining turmeric with a little pinch of black pepper may significantly increase the intestinal absorption of turmeric–this savory pancake recipes includes both. 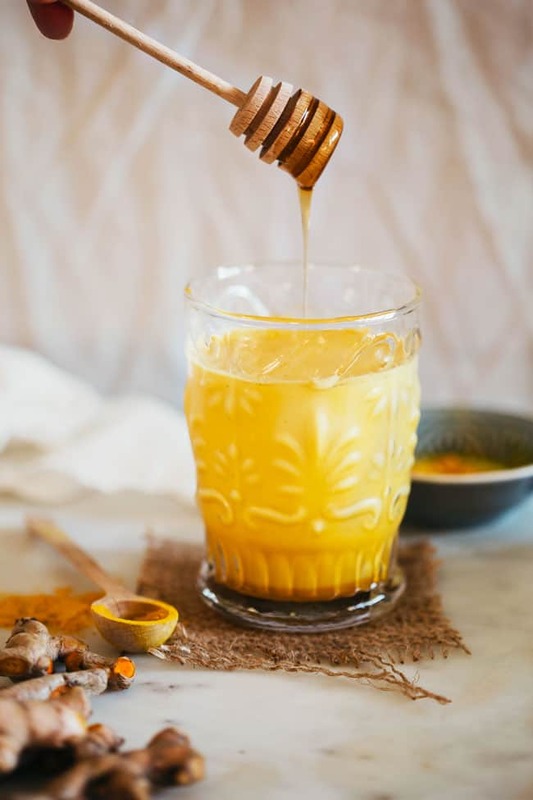 Some people may not want to spice their food with turmeric often, so an alternative is taking it daily in supplement form. Green tea is rich in anti-inflammatory polyphenols, particularly EGCG, which is a powerful antioxidant known for inhibiting cancer cell growth and reducing risk for heart disease. Anti-inflammatory prescription: Replace one of your daily coffees with green tea (coconut milk matcha latte, anyone?) or try cooled green tea as the liquid base of your smoothie. Leafy greens again? Yep. Without a doubt they’re always included in my list of favorite foods because of their incredible nutrient density! Super rich in antioxidants, vitamin C, A, E, as well as tons of other vitamins, minerals and phytonutrients, leafy greens protect against oxidative stress caused by free radical damage. There are lots of great ones to choose from–spinach, collard greens, swiss chard, watercress, dandelion greens, mustard greens, etc.–so mix it up each week! Anti-inflammatory prescription: Aim to get in two servings of raw or cooked leafy greens per day. Try this kale hummus wrap. 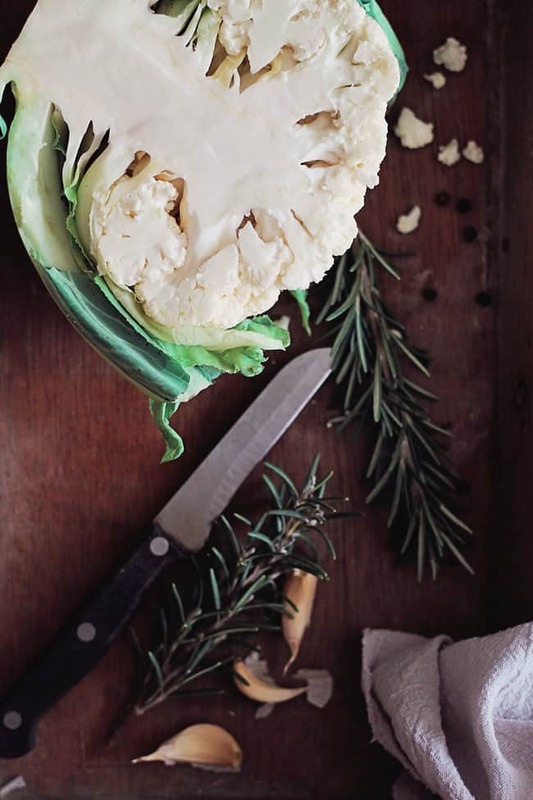 Cruciferous veggies include broccoli, cauliflower, kale, bok choy, cabbage and Brussels sprouts among others and are invaluable to an anti-inflammatory diet. The flavonoids and carotenoids work together to battle chronic inflammation and reduce cancer risk. Anti-inflammatory prescription: Include a serving of cruciferous veggies a day. They can be delicious, like in this Cauliflower Rice Tabbouleh. Wild caught fish like salmon, mackerel, sardines, trout and halibut are rich in essential fatty acids, especially omega-3s, which are potent anti-inflammatory substances. Your body can do so many amazing things, but unfortunately it can’t make its own omega-3s so you have to get them through food and/or supplementation. Anti-inflammatory prescription: Eat a 4-6 ounce serving of wild caught fatty fish 2-3 times a week. Try this Lemon-Pistachio Salmon. Gut problems like leaky gut and dysbiosis (microbial imbalance) activate the immune system and set off an inflammatory cascade in the body. Your gut microbes team up with immune cells to boost their overall defense, protecting you against bad bacteria and other pathogens and toxins. Introducing good bacteria into your gut via fermented foods will boost your gut’s defenses and reduce chronic inflammation. Fermented foods are lacto-fermented, raw and contain live cultures and enzymes. Some great ones are sauerkraut, kimchi, kombucha, kefir and yogurt. Anti-inflammatory prescription: Include at least one of these foods into your diet each day, i.e. 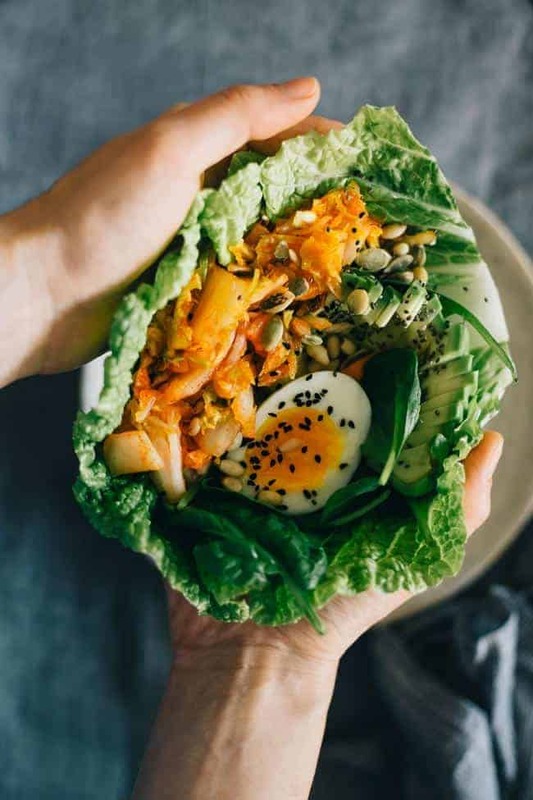 add 1 spoonful of sauerkraut or kimchi to a lunch wrap or drink 4 ounces of kombucha. Coconut oil has so many health benefits (boosts metabolism, balances hormones, anti-microbial to name a few) and high levels of antioxidants for healing inflammation is one of them! Anti-inflammatory prescription: Include at least 1 tablespoon of coconut oil to your diet each day. Try adding it to your smoothies as a source of good fat to keep you full all morning. Sauté and roast your veggies in it. It may sound weird, but eat a spoonful after lunch to quell a sugar craving (I’ve done this too many times to count). You can even use it as a moisturizer! There you have it – using food as medicine to douse the fire of chronic inflammation! I picked out a few of my favorites, but adding a wide variety of nutrient-dense foods is important for an effective anti-inflammatory diet. In addition to diet, be sure you’re also focusing on your gut health, managing stress, optimizing sleep, exercising, and minimizing toxins in your food, home and personal care products. For health and wellness, I love anti-inflammatory diets, especially for my age. This was awesome ideas, I will make one of this. Thank you for sharing Stephanie. I’m so confused. Yesterday I was looking up foods that were acidic and caused inflammation and blueberries, sauerkraut, fish (all seafood including salmon), chocolate and green tea were on the list. Are these items okay to eat if I’m trying to help my inflammation?